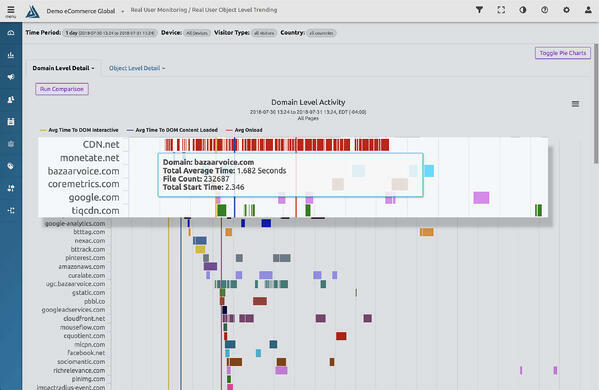 Tag monitoring tools provide standalone performance data, but do not give any context to how first and third party tags are impacting your digital experience. Each of these icons represents a tag loading on this website's home page. That's 63 tags total. Blue Triangle helps you identify and manage all of these on every page of your website. 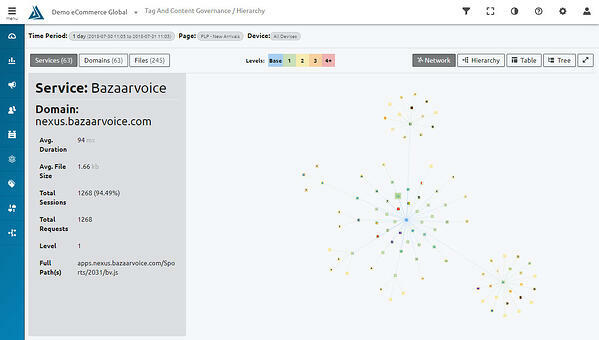 We can even show you what tags are loading unknown or potentially dangerous tags (piggy-back/fourth party). This is very common, and can impact site performance and security (think GDPR). 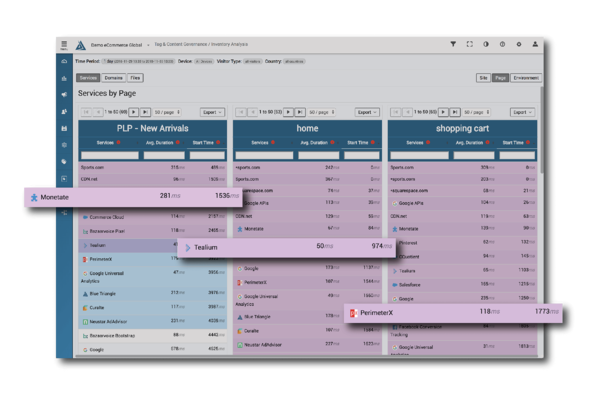 Seeing what tags are loading on your site and what pages they are (and are not) loading on is critical to tag governance. 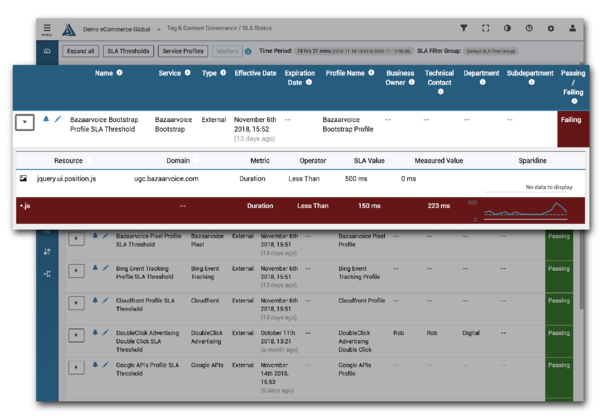 Daily trending of tag performance helps you manage your vendor SLAs and tells you what is added or removed. This is one of the most popular reports in our platform. A misbehaving tag can kill your site’s performance and revenue. Blue Triangle is the only company that can calculate the performance and revenue cost of every tag on your website. Is a tag missing from certain pages? Is something loading on your Home Page that doesn’t need to be there? Blue Triangle’s page-level reporting gives you instant visibility into the placement of your tags. Many sites load tags before they need to, which hurts the overall digital experience. I’ve seen sites load social media icons before their “Buy it Now” button. 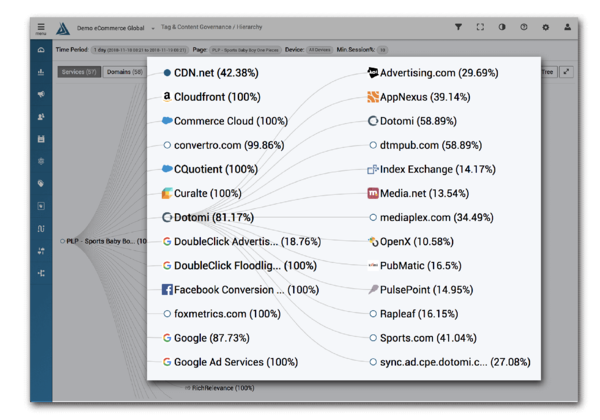 Some load certain advertising tags before their shoppers can even interact with the page. 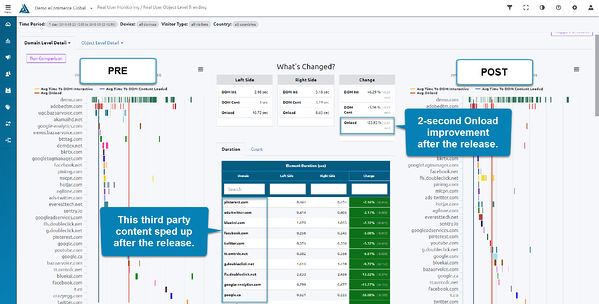 Address these issues in real time with Blue Triangle's aggregate performance waterfalls. We recommend that you have SLAs in place with each of your vendors to ensure consistent performance and delivery. Blue Triangle makes it easy for you to set SLAs, assign technical and business owners, and be alerted when the SLA violates any of the conditions you set. It’s critical that you track how tags are impacted by every site release so you know what needs to be addressed. See what was added, removed, slowed down and sped up – all in one view. 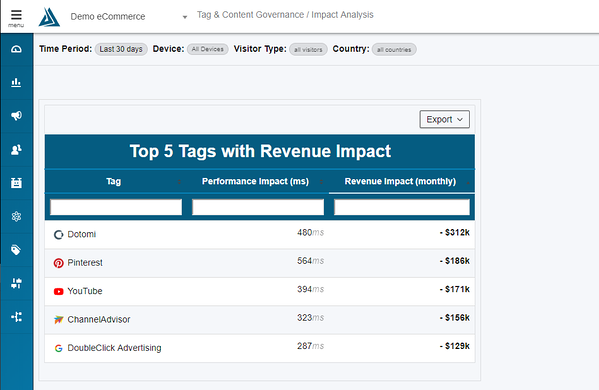 Then measure the overall impact of those changes from a performance and revenue perspective. Don’t worry - our tag only weighs 10kB, loads asynchronous, and won’t impact your performance. Ready to take control of your tags? Click here to request a demo!